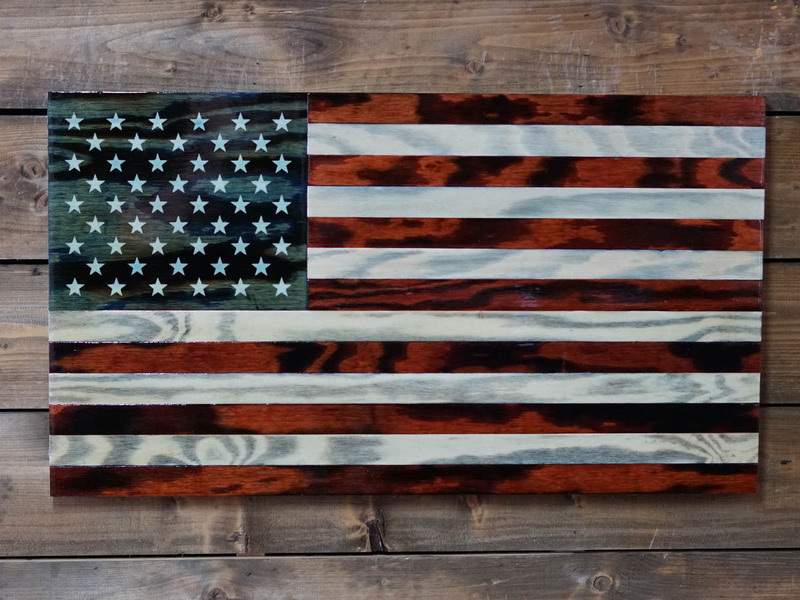 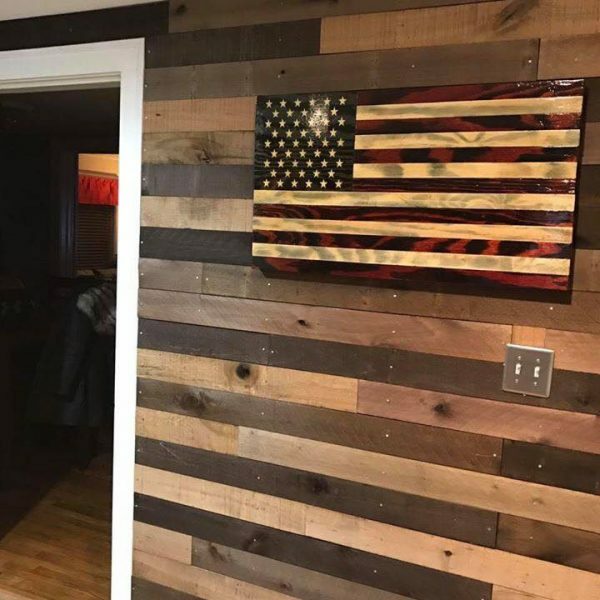 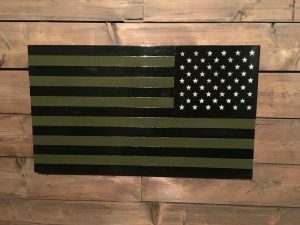 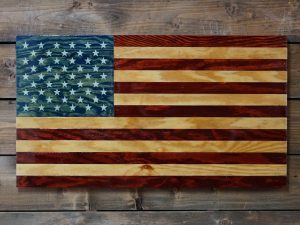 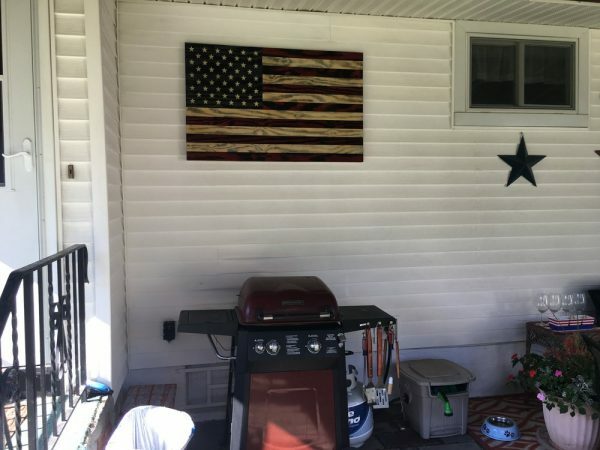 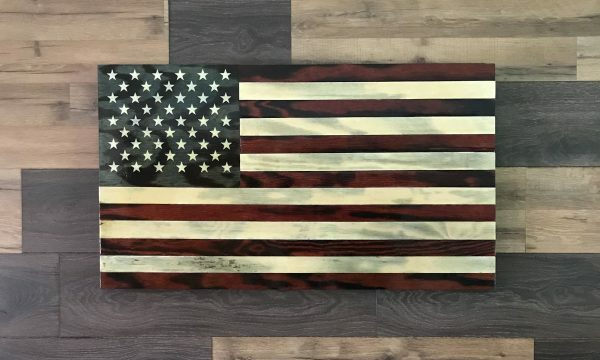 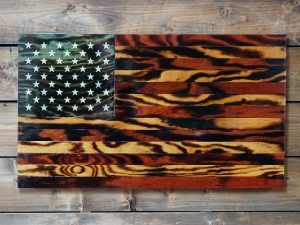 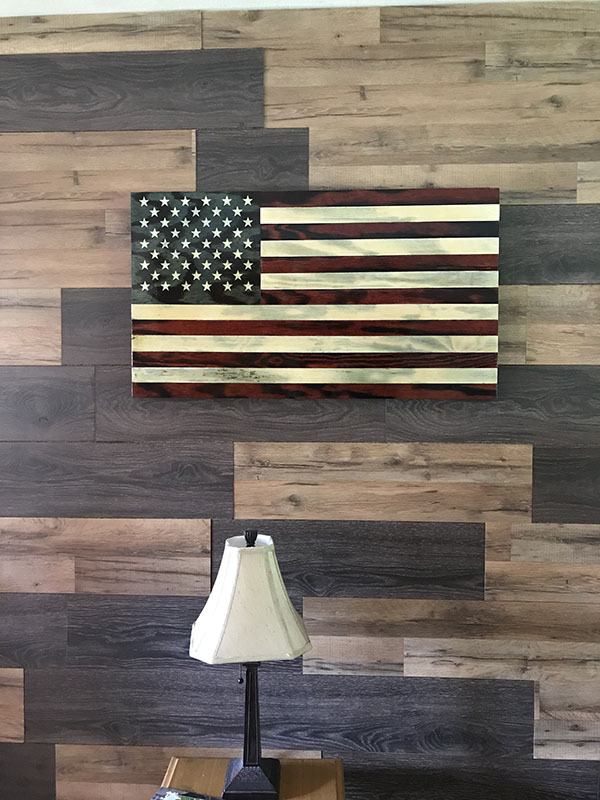 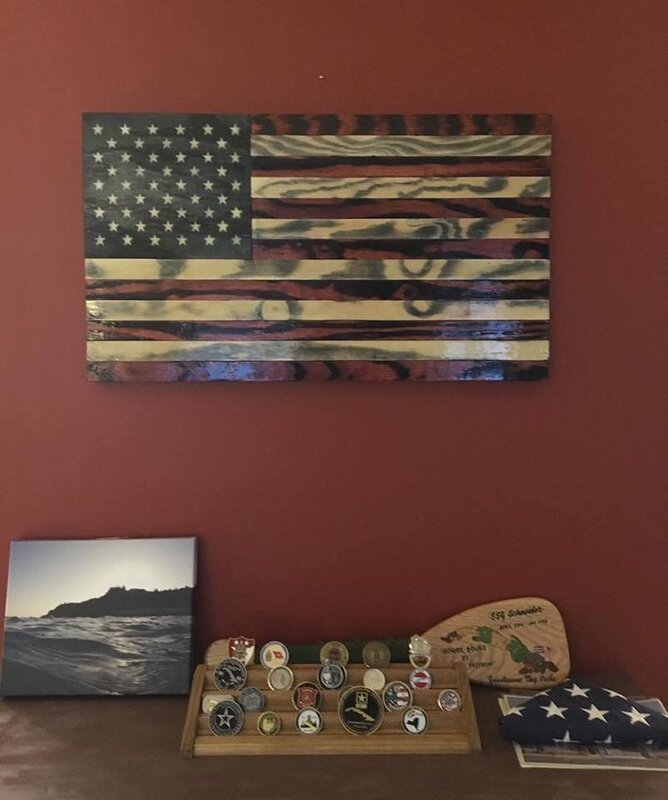 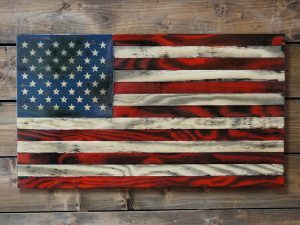 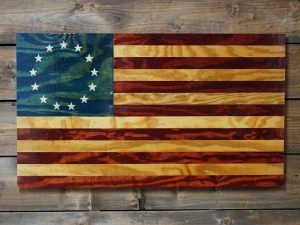 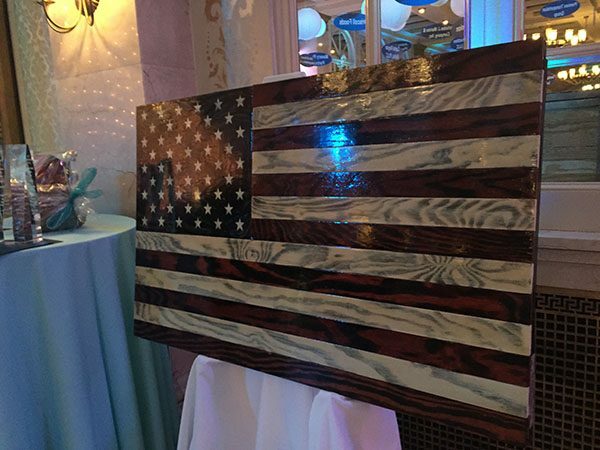 A rustic yet elegant wooden flag. 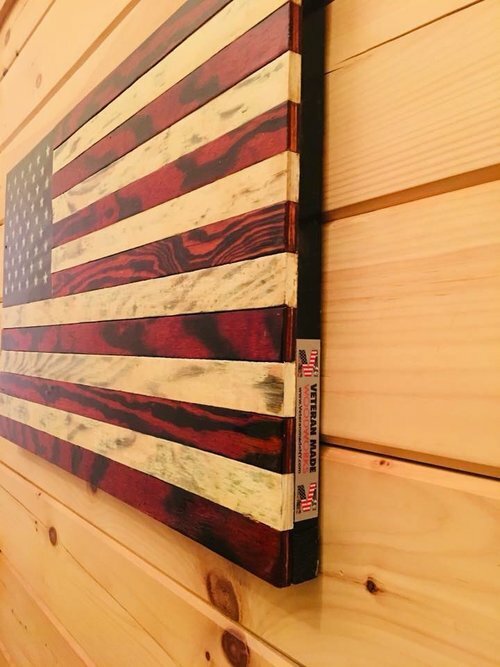 All handmade with individually cut pieces nailed to a sturdy frame, stained, and torched for that rustic-charred style. 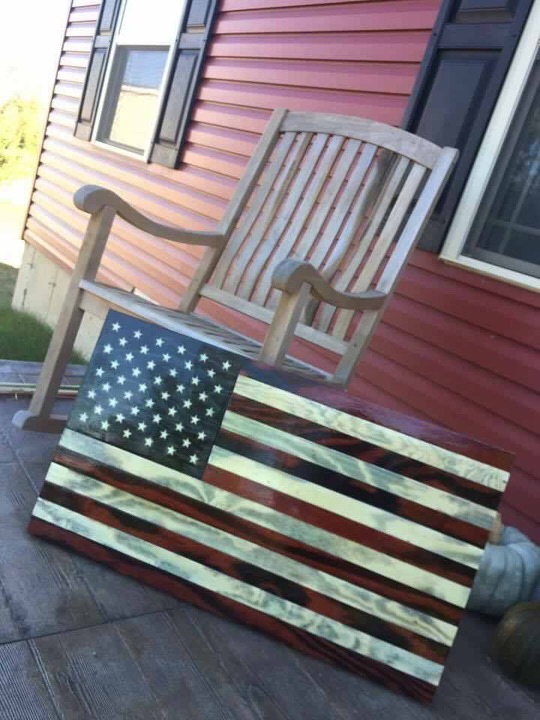 Then finished with 3 or more coats of high gloss poly for protection and shine that will last a lifetime. 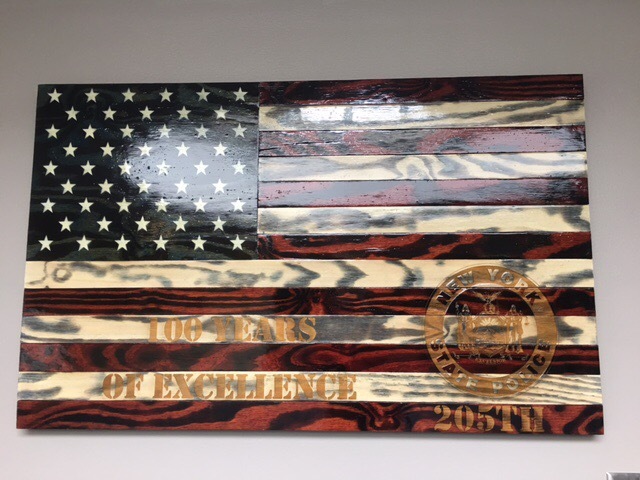 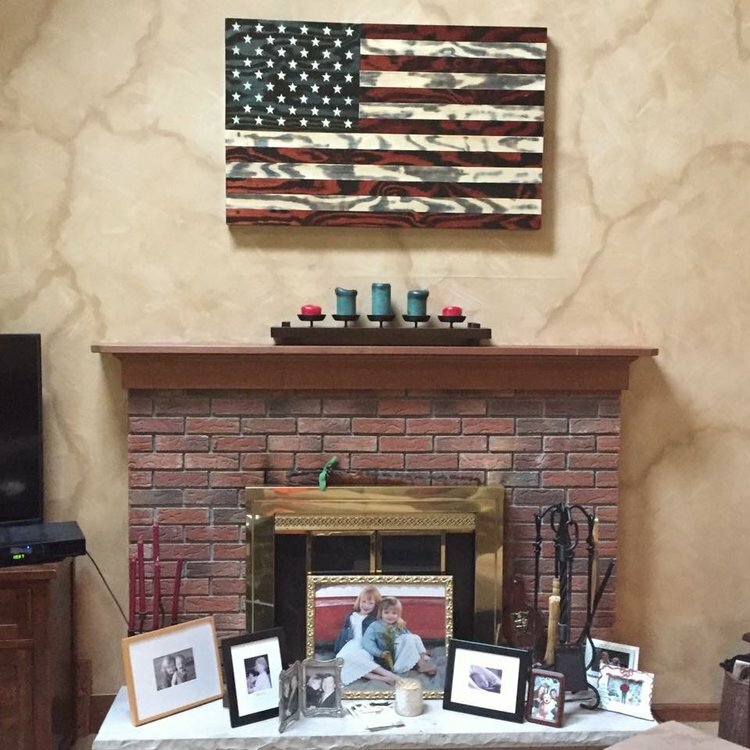 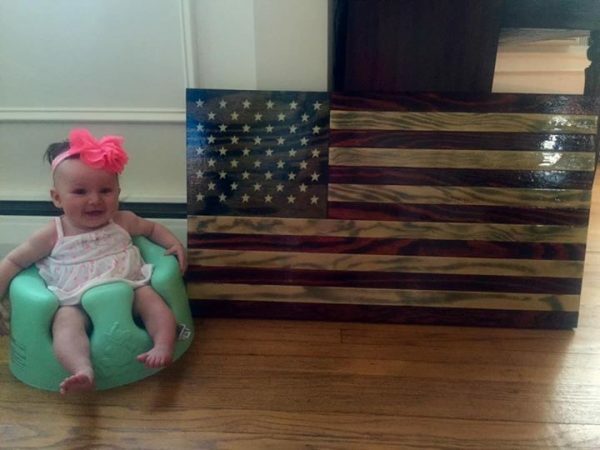 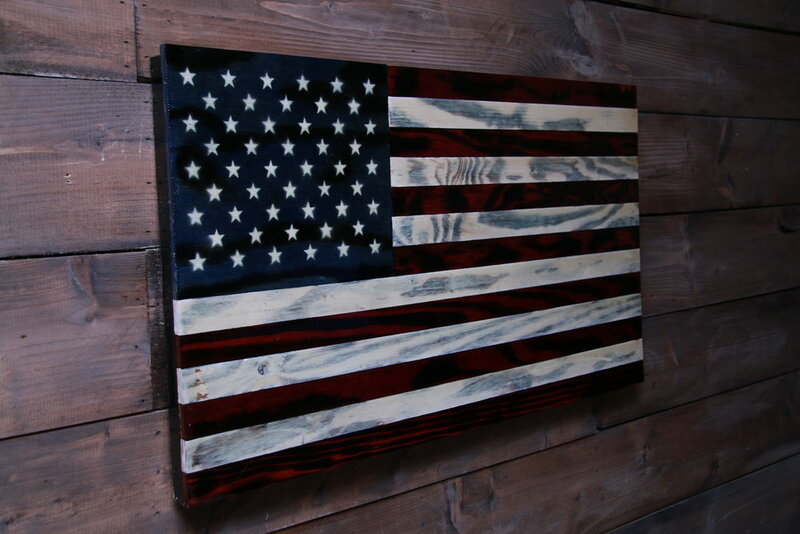 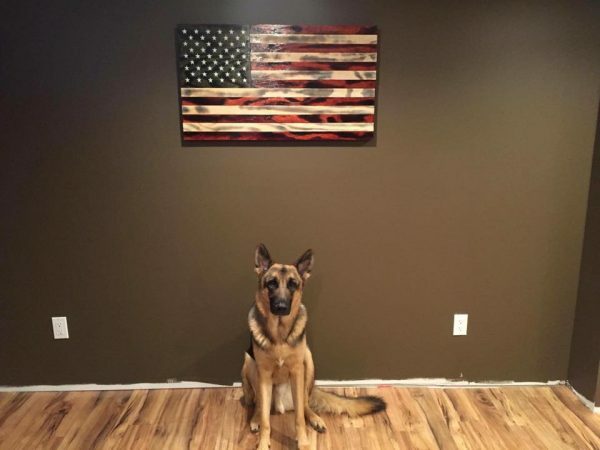 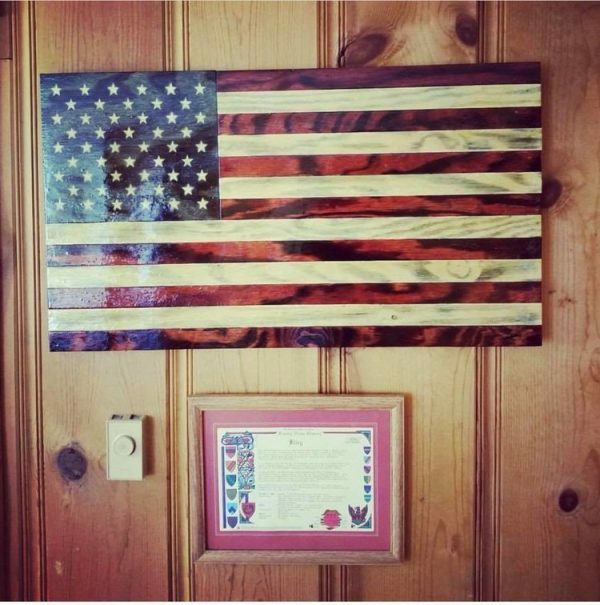 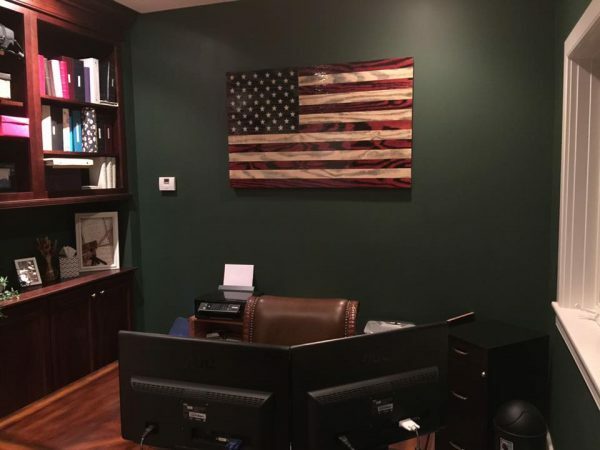 A perfect complement to any room where you can show your American pride and patriotism proudly!